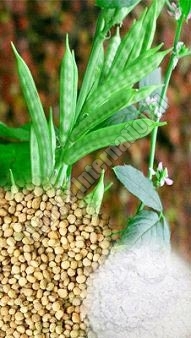 Guar Gum is classified as a type of gum seed rich in galactomannan polysaccharide. The Guar Gum Seeds are used in multiple industries like pharmaceuticals, cosmetic, food processing, textile, etc. Atmiya International is recognized as one of the prominent Guar Gum Powder Suppliers. We are also one of the trusted Guar Gum Seeds Suppliers. The Guar Gum we provide is sourced from reliable vendors in Gujarat. We specialize in providing top quality Guar gum Powder. Being reliable Guar Gum Exporters, we ensure that the Guar Gum is well tested for quality, thus our clients can be sure of getting the finest Guar Gum Powder from us.